Many environmental projects have a rich history, and Treadway Creek Trail is no exception. The Treadway Creek ravine in the Lower Big Creek Valley watershed within Cleveland’s Old Brooklyn neighborhood had been neglected for many years. Over time the ravine had become an illegal dumping ground for household, yard and other wastes. In 1997, the operator of two nearby landfills expressed interest in purchasing four acres of the Treadway Creek ravine from Cuyahoga Metropolitan Housing Authority (CMHA) in order to provide access to a three-acre property, which he already owned, for the purpose of creating a third seven-acre landfill. Cleveland’s Ward 15 residents voiced their opposition. After lengthy deliberations, CMHA chose not to sell their property to the landfill operator. Several years later upon realizing that the Treadway Creek ravine would never become his third landfill, the operator relented and sold his three-acre parcel to the City of Cleveland. 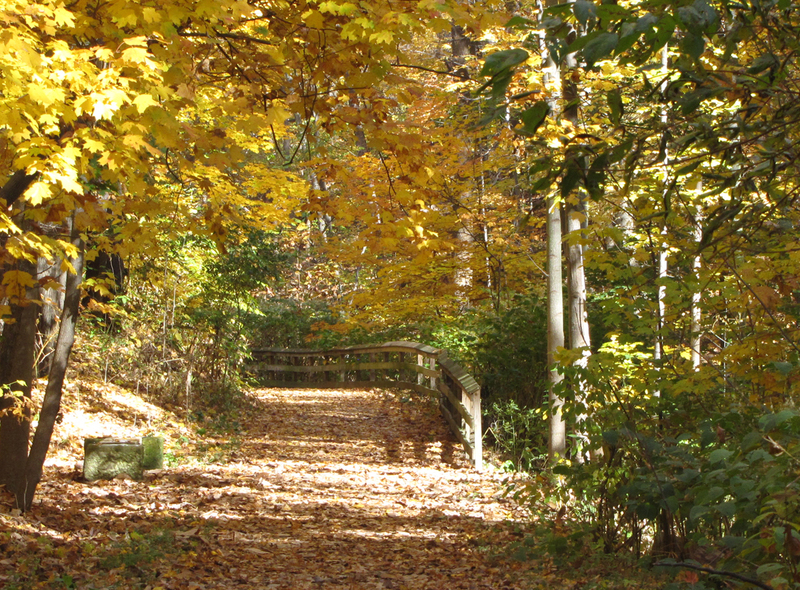 In 2003, the Cleveland Department of Parks, Recreation and Properties received a $745,316 Clean Ohio Conservation Fund grant to help fund a $1.1 million greenway project to ensure conservation and access to the Treadway Creek ravine. Nine parcels of land along the creek were purchased and then combined with thirty-three additional parcels of land controlled by the City of Cleveland for a total of 20.8 acres. Because the grant required the City of Cleveland to place a conservation easement on the acquisition, Cleveland granted an easement to West Creek Conservancy (WCC) to conserve the greenway in its natural state, protecting its scenic qualities and maintaining a natural habitat for plants and wildlife. This Treadway Creek Restoration and Trail Project became WCC’s first Cleveland connection to the nearby Ohio & Erie Canal Towpath Trail. In 2007, the 2/3-mile, paved, eight-foot wide multi-purpose trail was completed. The trail extends north from Harmody Park in Old Brooklyn, winds its way through the lower ravine to Crestline Avenue, and continues on-road northeast to Jennings Road. From Jennings, it proceeds east along Lower Harvard Avenue to the Towpath’s current northern terminus in Cuyahoga Heights. This Treadway Creek Trail crosses six natural streams and provides six wayside locations where trail users can pause to rest on a bench, enjoy the scenic lookout areas, and read interpretive signage describing the setting through which the trail passes. The Treadway Creek Trail affords convenient access to the 20,000 residents of the Old Brooklyn neighborhood, linking the ravine to the Towpath Trail. The public dedication ceremony for the completed Treadway Creek Greenway Restoration & Trail was May 16, 2008.